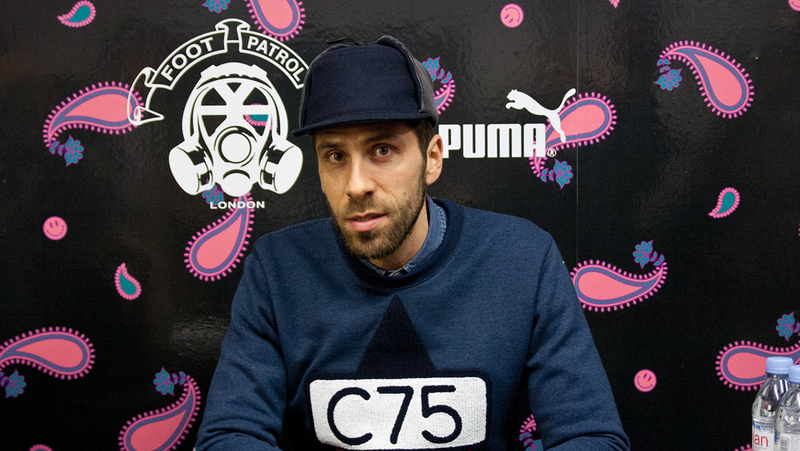 While on a brief stop in London we had the chance to speak with a certified streetwear leader. Michael ‘La MJC’ Dupouy is one of the market’s most highly regarded influencers, thanks in part to his years of work putting together the ALL GONE book. Since work began on the first edition in 2006, the world of streetwear and sneakers has grown significantly, and with that so has the All Gone book itself, now a run of 2000 copies with launch events all across Europe and the US. This is the third book release we’ve had the pleasure of attending, but the first chance we’ve really had to chat to Michael about what goes in to a project like this, his own personal picks from the year, and how he feels about the changing landscape of streetwear. Following the 2012 book launch and signing event at Footpatrol, which you can read all about here, we sat down with a group of other journalists, sneaker collectors and streetwear fanatics to hear what it’s like in the world of La MJC. What influenced you to start producing the All Gone book originally? Twelve years ago I started as a journalist working for Sportswear International, and then I started writing for a French magazine. In 2000 the Internet knocked at our door and we thought – let’s try – we had our first website in 2001 and in 2006 we were one of the first to launch a web platform selling streetwear products. At the same time people were announcing the death of paper magazines, and we thought that could be true for monthly or quarterly magazines, but having a coffee table book, just once a year and making it high end style, something you want to keep for life – I was into this idea from the beginning. The second reason is because, although I always say that the Internet is super important, I also say that sometimes saving information and documenting a culture online is almost impossible. If you google “What was hot in 2007?” today, it’s almost impossible to get the right answer. So, the idea in the beginning was to document every year, and the more we go into the future, the more the book makes sense. Having seven books on your shelf, it’s easy to open one from the past and say it was very different in 2006 than in 2013. It was difficult in the beginning to think about the future, but I said “let’s try, let’s try to do at least 5 years”. Now it’s already 7, so let’s try to do 10 now and see what happens. Who knows how we will read things in the future, but I still need a product hat pays homage to the products themselves. The internet is fantastic for browsing and promoting one release, one event, one day – a second after you forget and you want the next big thing. Do you find a new challenges with each year of the book? Honestly it’s become more challenging now because the offering from all of the brands is so big. If I don’t look at the Internet for 3 days I’ve already missed maybe 300-400 new products, collaborations and other new things, so it’s a lot more complicated. On the other hand it’s maybe more simple than before because the book is becoming more famous and it’s easier for me to get the product I want from a brand. When I started I was forced to almost buy everything I wanted to have in the book, but now it’s more professional now, but I still only include the products I want. How do you feel that streetwear has evolved since you started All Gone? 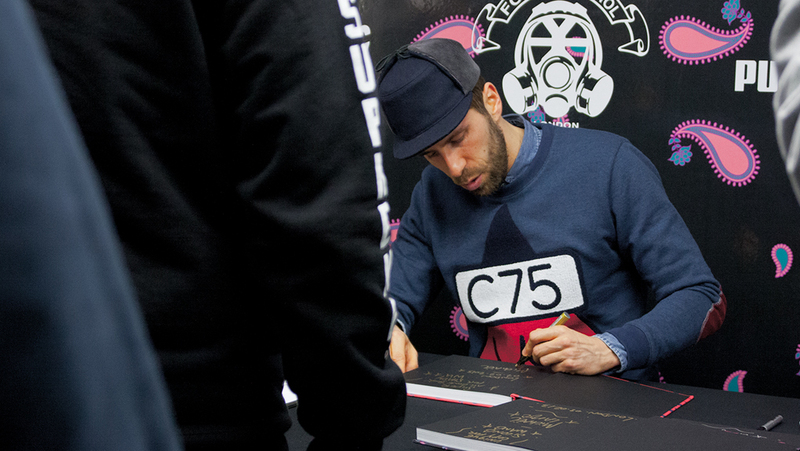 Interesting question … The evolution of streetwear – imagine this question for me. It’s totally different than when I started the book 7 years ago, but I can look back for more than 20 years because I grew up with and it was key to my life from the beginning. Before having a job in this industry I was just a passionate kid starting to collect vinyl, then sneakers and everything else. I think it was… not a private club, but something really underground years and years ago and thanks to the explosion of social media, thanks to the web, and thanks to the popularity of some artists and some brands it became so popular that now we can say it’s a global, mainstream culture. In one hand it’s cool, in another one some people complain about this big, bold thing and would love to have the underground back. I’m not here to say who’s going to bring back the underground but I would love to say that it’s a better time now than before because for all the people that struggle to survive in this industry, and the pioneers that are still independent, it’s good recognition. How do you feel about streetwear becoming more mainstream? It’s not a problem at all. I don’t know how old you are, but remember what Hip Hop was before and what Hip Hop is today – everybody listens to it, you can go in any club and you have this kind of music. At the entrance to a club 15 or 20 years ago, you wear sneakers, no, you cannot enter, and now you are more than welcome. The mentality has changed, some people really complain, but I feel ok about it. People say that some brands have “sold out” – do you think that’s the case? I don’t think so. Of course, the pioneers of this culture are getting older, we’re all getting older, and at the beginning, you cannot think only about the money, but if you want to build a brand and be successful, money is always the key. I feel like I’m part of this industry, I feel like I’m still creative and making more money than I was at the beginning, but I don’t feel like I’m doing it just for money, I’m still passionate, I’m still collecting everything and I’m still loving the products that are inside the book. I don’t think that people are just into money and lose the passion. What’s your favourite product in this year’s book? What about your favourite sneaker? [After a long pause and a deep sigh] Nike Free Inneva, if I have to pick. Just because of the innovation, and for me brands are bringing too much retros, bringing too much old shoes, bringing too much things from the past, and I want new things, I want the brands to invent the future. So, I will say this one, just because I’m wearing them, but I’m not sure if tomorrow I would give the same answer. I like the gold UNDFTD Puma Clyde and the snakeskin Clydes from the same series too. They remind me of shoes I love, and I love snakeskin. Which book has been your favourite to create? It’s easy to say that I love this one because it’s the last one. The thing is, the team is growing and I’m working with a new studio for art direction. I think those guys are super talented, they are Parisian like me. We used to just select a new material for each book each year, but since last year they have tried to create this pattern that we own – if you look closely at the Paisley you will see it’s different, and I think we’ll keep this direction for the next couple of years because I love having something that people will remember easier than just a black leather or something like that. So let’s say this one. At what point in the year do you start putting the book together? Honestly, every day I’m looking at my RSS feed and thinking “ok, this I need to have…”, so there’s no day when I don’t think about the book, but I officially start working on it on a 24/7 basis around July-September, and from October-December I do only this. The worst period is December because I need to cover product from December but at the same time finish the whole book – so there’s no Christmas celebration and no holidays because when the new year starts I need to print and be ready for Fashion Weeks in Berlin and Paris to launch it. 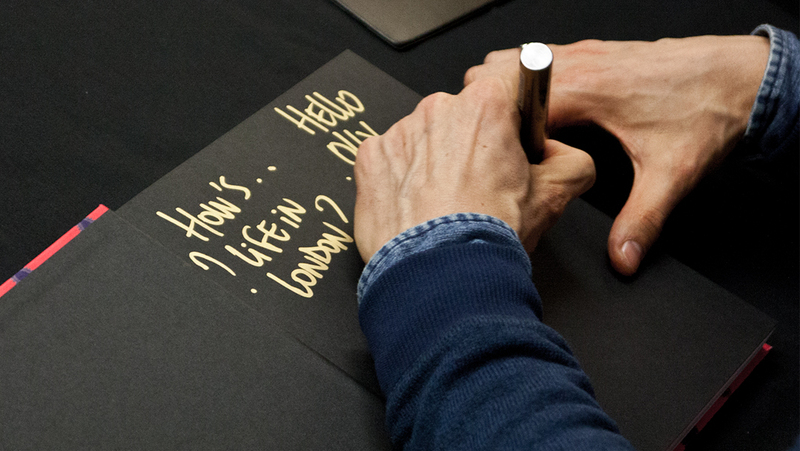 Are there any British product or products from British brands featured in the book this year? Palace – they are in. I don’t remember all of the products, but I remember Palace. What would you like to see from streetwear in this coming year? I would love to see the biggest brands turning themselves towards the future. Like I said, less retros and more creation, more new shoes, more innovation, more technology. If you remember the old days, we started this culture by going to sports stores and taking the codes form sports into the streets. Then brands realised they could create special products made for the streets, but sometimes it’s too easy, and I would love to see the brands create new standards with new silhouettes, making them the new retros for the next 20 or 30 years. It’s risky, but it’s more interesting to me. What about you? What else are you working on this year? I’m going to re-launch the brand I have with the Ed Banger record label. We are launching a new brand, we’ll keep the same vibe and the roots in music and streetwear, just with a new name – that’s coming real soon. Of course there’ll be a new book… Some projects I can’t tell, it’s all about secrets, but for the Chinese market I’m doing a capsule collection with my friend Edison Chen. Clot have a red logo, the French flag is “Bleu, Blanc, Rouge” so we call it “Bleu, Blanc, Clot”, and it’s going to be my choice of French brands that I love, newcomers only, re-visited by Ediston and sold to China, and also at Colette. That’s coming soon… and many others that I can’t tell, but I’m going to keep it busy for sure. How to you feel about the fact that the book has become a collectors item in itself? Honestly I am super flattered and happy with what’s happened here. Seeing people queuing for ALL GONE in the same way I was queueing for sneakers 10 years ago makes me really happy. I started really on my own – the first book was only 500 copies and only sold at Colette, and it took, not ages, but more than a month to sell it because it was only available online from 1 website. Now I’m in between two chairs – if I want to make money I can do 10,000 copies and do what the big brands do, 1 quickstrike, 1 super exclusive, 5 different colourways and so on. I want to keep it, not hard to get, but a bit complicated to get, so that people make an effort to have it, like when they really love a product. This year there are 2000 copies, last year a little less, next year maybe a little more, but not a big, big edition. I don’t want to and I think people prefer to keep it like that. Also, it’s already tough to talk about the past when it’s February or March, so if these books stay on the shelves into April or May, people won’t care, which is also why I keep it limited. It’s been great to have you in London. Where is your next stop from here? I came form Copenhagen, I’m in London today then it’s Barcelona, New York, Miami, Las Vegas, LA, San Francisco, Mexico City … then Beijing, Hong Kong, Taipei and Tokyo. That takes me up to the end of March, but I’ll be back in France on March 1st because it’s the Ed Banger 10th Anniversary and I can’t miss it. It’s cool though, I’m not complaining, I’m super happy to travel. A huge thank you to Michael for his time, to Puma for putting together this year’s event and to Footpatrol for having us. We’ll see you in 2014! 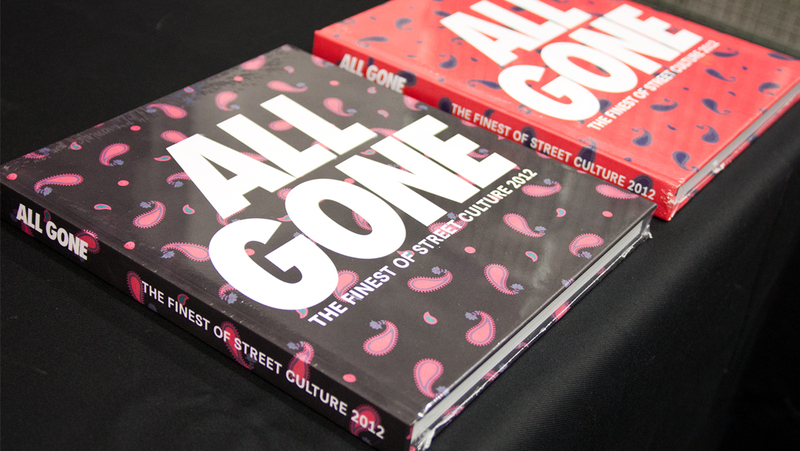 The 2012 edition of the All Gone book is available in limited numbers now from ALL GONE and select UK stockists.